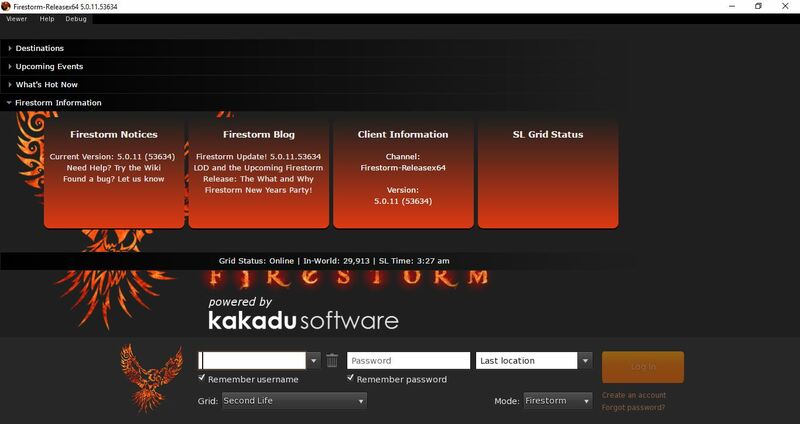 This latest update brings the Firestorm Viewer right up to date with the Lab’s 5.0.9 code base. The new version comes with many new features, performance updates and tons of fixes. This is the first significant update so far this year with planned quarterly releases throughout 2018. This feature moves fetching of several types of assets to HTTP. This means that landmarks, wearables (system layer clothing and body parts), sounds, gestures and animations will now be fetched the same way as textures, mesh and avatar baking information via a direct query to a CDN (Content Delivery Network) instead of through the simulator. This should generally make loading of such content both faster and more reliable. The “Always allow ‘create landmark`” group ability was accidentally removed a while ago. Always allow ‘create landmark` enabled on a group role allows members of that role to override the teleport routing (e.g. right click → teleport to) on the parcel if a landing point is set, as long as Direct Teleport is enabled on the region. As a result of the work that the Lab have done on their Alex Ivy 64-bit project, we are now able to bring you the long-anticipated, Havok-enabled 64-bit Firestorm, once again restoring all the functionality of the 32-bit viewer but keeping the stability and speed of the 64-bit viewer. This feature moves fetching of several types of assets to HTTP. A long awaited fix to have you wiggling and jiggling at your very best. * Firestorm 5.0.11 64 bit Windows & Mac versions now have Havok support thanks to Linden Lab! See http://beqsother.blogspot.co.uk/2017/10/coming-to-firestorm-soon-couple-of-new.html for more details. * Added an option to show/hide invitations to already joined groups. * New command line options: /zoffset_up: Offset your avatar upward by 0.05. /zoffset_down: Offset your avatar downward by 0.05. * New Celestia medium redux font added specially for all the Bronies.